Portland’s Northwest and West Hills districts both offer vibrant densely populated heritage neighborhoods within walking distance of the city core. Craftsman- and Old Portland-style houses line the streets of these neighborhoods, and the restaurants, bars and shops of downtown Portland are just a short walk away. This part of Portland is served by a streetcar line, and is also close to parks and attractions. Forest Park is a leafy neighborhood on the northwestern edge of Portland, and is located about 20 minutes by car from the downtown core, and about half an hour from Intel’s Hillsboro campus. The neighborhood is located adjacent to Forest Park, one of the largest urban forests in the United States. A series of ridges and hillsides in this neighborhood on the west side of Portland means many homes enjoy views of the city. Popular Hillside Park lies at the center of this neighborhood, and Hillside Center is a community hub. The Oregon Zoo, Portland Children’s Museum and other family attractions are all within walking distance. Southwest Hills and Portland Heights in West Hills is one of the oldest and most exclusive neighborhoods in Portland. Rising above downtown, these neighborhoods offer spectacular views of the city as well as the snow-capped peaks of the Cascade Mountains. Operated by Portland’s Metro Regional Government, the Oregon Zoo is located in West Hills, about 2 miles southwest of the downtown core. The zoo is home to 1,800 animals representing more than 230 species, including 19 endangered species and 9 threatened species. The zoo is popular with families and with visitors from all over the world. Located adjacent to the Oregon Zoo, the Portland Children’s Museum is a space for kids to experiment and play. Children and adults alike will enjoy the interactive exhibits that encourage creativity, exploration, imagination and expression. Part of Forest Park, this forest preserve in the heart of West Hills offers a variety of trails for hiking, biking and horseback riding. The Department of Catholic Schools (DCS) is home to 15,000 students and 1,300 teachers, and provides the community with many options for education. De La Salle North Catholic High School serves North and NW Portland. The DCS school finder can help find schools in Portland. It’s estimated there are 69 private or independent schools in Portland, offering specialized curriculum and academic programs. Portland Monthly’s annual private schools guide provide a detailed analysis of these schools. Thanks to their proximity to downtown, Northwest Portland and West Hills offer plenty of fantastic shopping opportunities — Powell’s Books is just a short walk or bike ride away. Northwest Portland’s trendy Slabtown neighborhood boasts walkable streets, plentiful shopping, coffee shops, restaurants and art galleries. Supermarkets in West Hills and Northwest District include Safeway, QFC and Fred Meyer. Residents of West Hills and Northwest Portland can easily walk, bike or take a streetcar to work in the downtown core. 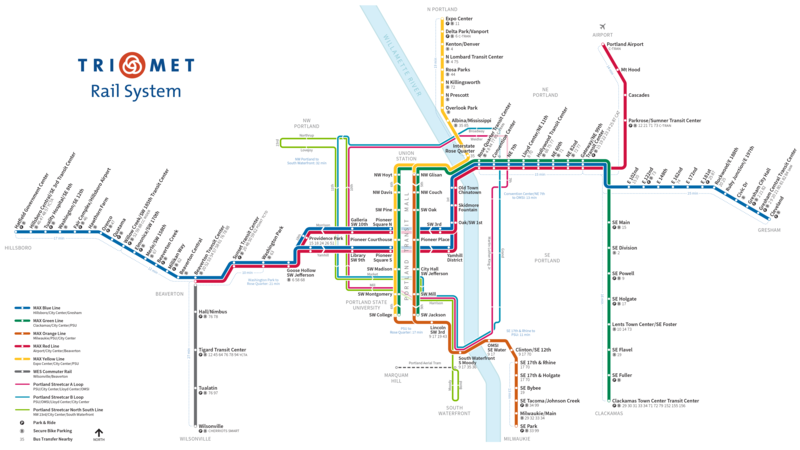 The MAX light rail system also provides easy access to many parts of the city. Major arteries including the I-5 provide good north-south transportation options, while U.S. Route 26 is an east-west connector that travels all the way to the Pacific Ocean. If you’re looking to buy a home in Portland you need someone who understands both the market and the individual neighborhoods. We source the very best materials and provide the most skilled labor to design your dream home, infusing every step of the process with excellence. By focusing exclusively on Portland, rather than spreading our team out into other areas, we bring an understanding of local needs and aesthetics to our work that supports positive growth and authenticity. Contact or call us today at 503-616-4996 with any questions, or to schedule a consultation with our experts.